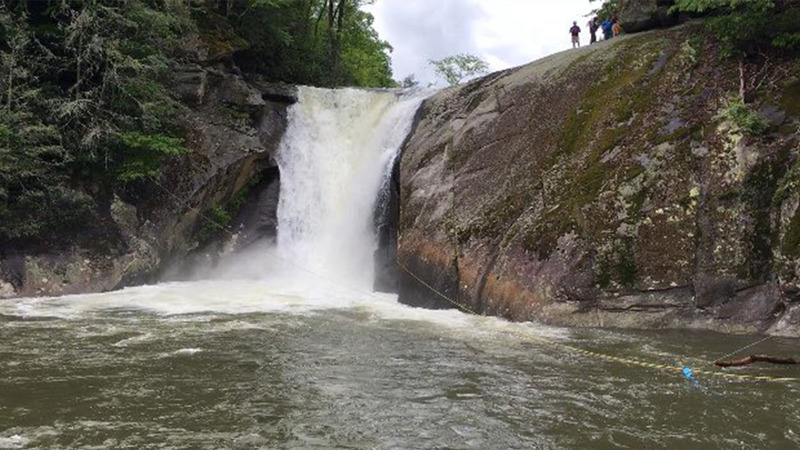 ELK PARK, N.C. -- A man is dead after authorities said he jumped from the rocks of Elk River Falls and didn't resurface. According to WSOC, this is the second drowning at the falls in six weeks. Gogineni Nagarjuna, 32, jumped off a rock close to the bottom of the falls and was pulled under by the waterfall pool current. He never resurfaced Assistant Fire Marshall Paul Buchanan told the Avery Journal. His body was recovered around 7 p.m. Sunday night. Another drowning was reported at the falls six weeks earlier. In that case, the victim's body was found 10 days after the initial incident.